Historic occurrence known since 1899, occurs within the famous Silver Cup mining district. Never systematically drilled out to form a resource until Taranis involvement. Considerable upside, particularly for gold & galena mineralization – usually in the most accessible areas. Excellent access to infrastructure in the area. Acquired by Taranis in 2006 from the T. Eaton Family Trust. Mineral Tenures added through staking and purchase from other individuals. Comprehensive drilling in 2007/2008 and exploration almost every year since to develop the Thor deposit. Since acquiring the Thor project in 2006, Taranis has made enormous headway in understanding the geology of the deposit. The historic view of the deposit was that it was a vein occurrence, hence the name 'True Fissure'. Taranis now knows that the deposit sits along a major stratigraphic contact, between underlying rocks of the Sharon Creek Formation and overlying rocks of the Broadview Formation. Between the two sequences is the CMU, which hosts the massive and disseminated sulfides that form the Thor deposit. Also found along the same time horizon are pyroclastic rocks, namely lithic tuff and volcaniclastics of the Jowett Formation that have a very distinctive green color. The sulfides are folded into a tight anticline that trends northwesterly and mineralization has been found predominately on the east limb of the Thor Anticline, but also on the west limb of the anticline. The sulfide horizon and the enclosing rocks have been folded, and there is has been a shear zone develop along the east limb of the anticline. The rocks have been subjected to folding and faulting. Thor is largely a stratabound deposit - and Taranis believes it belongs to a broad classification of deposits known as siliclastic-felsic sulfide deposits, most probably of Mississippian age. Taranis has developed a comprehensive understanding of the geology of the Thor deposit since it acquired the project in 2007. 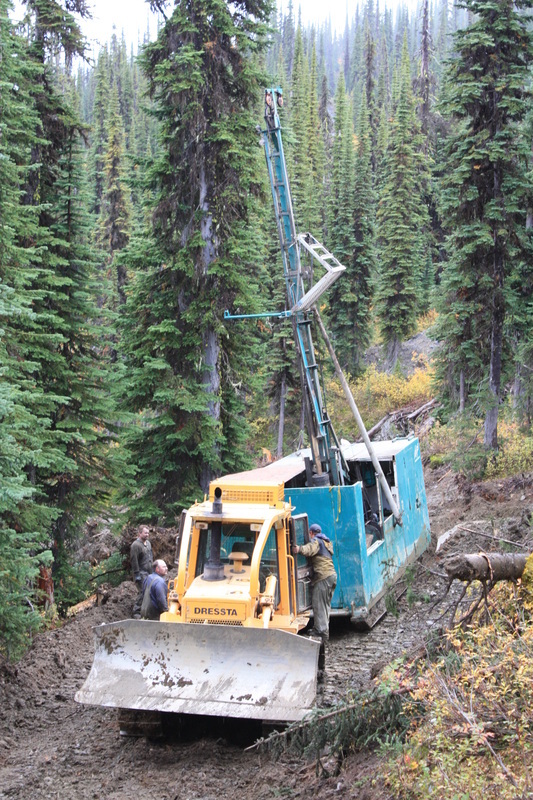 We have completed numerous exploration programs that have included diamond drilling, geophysical and geochemical surveys, and geological mapping. Click on the link below to see the maiden NI 43-101 Resource Estimate.